It’s hard to keep on top of all the excellent dream and consciousness studies books coming out. I routinely — for better or worse — read five or six books at a time. I keep them in separate rooms of the house, so I always have something to read when I sit down. It’s kind of fractured I guess, but the result is that I make connections between ideas that I otherwise may not have made. Here’s a quick list of books currently on my shelf that were published this year and last. 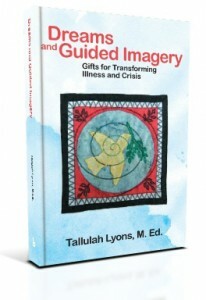 Dreams and guided imagery: Gifts for transforming illness and crisis, by Tallulah Lyons (Balboa Press, 2012). This book showcases how dreamwork is increasingly applied in integrative medicine for its uncanny ability to focus, inspire and heal our psyches as we attend to bodily suffering. It’s also an important book for me personally. I first met Lyons in 2008, when I attended one of her talks about the dreamwork she does with cancer patients. The next year, my aunt Rachael was diagnosed with an advanced pancreatic cancer and she quickly succumbed after only a few months. During those months, my aunt listened to Tallulah’s meditation CD to help her fall asleep in the face of constant pain. As my family tells me, my aunt got better sleep and more sleep period thanks to the effects of visualization and guided imagery at night. Tallulah’s new book describes the work she has done with the Cancer Project of the IASD, providing a wealth of practices, insights, as well as personal stories of many with chronic pain who have successfully used dreams to supercharge their visualizations. As she illustrates with potent stories, “Dreams broadcast the specific imagery and energies that are needed for healing and expanded living.” A must have for dreamworkers, counselors, ministers, and anyone interested in working with dreams for healing purposes. 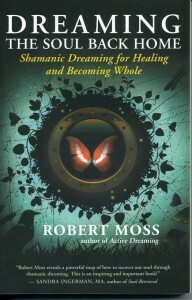 Dreaming the soul back home: Shamanic dreaming for healing and becoming whole, by Robert Moss (New World Library, 2012). I love Robert Moss’s work; he has been very influential for my studies over the years, as I’ve described here. His newest book does not disappoint. In fact, I’d say that Dreaming the soul back home is Moss’s most vital work. The practices he outlines cut to the quick of the soul malaise we all carry from childhood as well as from simply being soulful humans in the 21st century. He teaches how to regain lost vitality and creativity by attending to those parts of ourselves that got locked away by sheer necessity, trauma, or someone else’s controlling tendencies when we were vulnerable. He outlines a process of soul recovery that moves beyond personal past and encompasses our ancestors and all of humanity. While Moss has discussed some of this material before, never before has he focused solely on healing, nor made his ideas so accessible, practical and achievable. A wonderful, healing and possibly life-changing read. 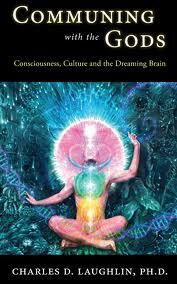 Communing with the Gods: Consciousness, culture and the dreaming brain, by Charles Laughlin (Daily Grail, 2011). I’ve already fully reviewed this book here, but it bears repeating that Laughlin’s latest work is the most inspired take on the anthropology of dreaming attempted in a generation. It’s an academic tome to be sure, weighing in at 500 pages, but the work is peppered with personal stories of Laughlin’s experiences on the edge of dream consciousness. This includes his years as an anthropologist studying shamanism in several cultures around the world, as well as his decades of meditative study as a Tibetan Buddhist in Nepal. If you’re interested in the full spectrum of dreaming as it’s expressed around the world, this is the first stop. 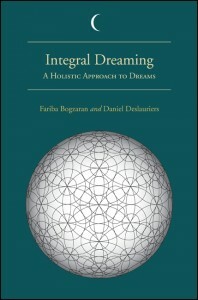 Integral dreaming: A holistic approach to dreams, by Fariba Bogzaran and Daniel Deslauriers (SUNY Press, 2012). I took a class by Bogzaran and Deslauriers on Integral dreaming back in 2007 at John F. Kennedy University, so I’ve been influenced by their holistic concept for quite some time. Their new book, the last SUNY series dream book edited by Robert Van de Castle, focuses their years of innovative curriculum into a single volume. It’s extraordinary what they have accomplished here: the first truly holistic, interdisciplinary book on dreaming that maps out the various perspectives of dreaming function, as well as ways of working with dreams for self-knowledge and personal development. Not only do they present an ecology of dreams, but they frame the entire enterprise of dream studies within integral studies, a trans-disciplinary movement in the human sciences. “Integral” refers not only to holism — having multiple perspectives that inform and strengthen one another like a hologram — but also nods to the work of consciousness studies pioneers Ken Wilber and Aurobindo. It’s only available in hardback right now, bringing a hefty pricetag of $70, but it’s an essential volume in my mind, if not for your home collection, then for your university or college’s library. 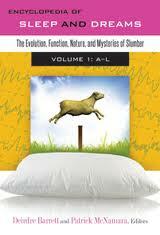 Encyclopedia of sleep and dreams: The evolution, function, nature, and mysteries of slumber, edited by Deirdre Barrett and Patrick McNamara (Praeger, 2012). This is the second high quality multi-edition reference series that Barrett and McNamara have put together, the first being their three volume New science of dreaming. I can’t really “review” this book impartially because I wrote three entries for this collection: lucid nightmares, isolated sleep paralysis, and the incubus/succubus apparition. The encyclopedia has a wide range of essays from many perspectives and scholars from many disciplines. Pretty much every influential aspect of contemporary dream scholarship is represented in this work, from neurology to shamanism. At $189 this collection is for serious dream nerds. A feast for crows, by George R.R. Martin. This book –4th in the Song of Ice and Fire series — was not published this year, nor is it about dreams, but I have to read some fiction to balance out all the serious stuff! Actually, there’s a whole sub-plot in this fantasy series about green dreams: prophetic telepathic dreams involving animal transformation- one of my favorite aspects of uncanny nightmares and sleep paralysis visions. OK, that’s my list. What’s on your dreamy nightstand? Thanks, Ryan – a few I had not previously known, that I’m eager to read now. Thanks, Ryan. I have books in different rooms and formats as well, audio, Kindle, paperback, etc:-) Have you read “The Secret of the Soul: Using Out of Body Experiences to Understand Our True Nature” by William Bulman? Fascinating. I’m interested in the mysteriously fine line between OBE’s and LD’s. I’m currently listening to the classic fantasy series “The Wheel of Time” by Robert Jordan, fascinated by all the ideas and plot lines that revolve around dreams and dreaming. It seriously makes me wonder if he was a lucid dreamer. It’s upsetting he passed away before completeing the series. Maria, never read Bulman’s work, thanks for the tip. I have been wanting to dust of my old copies of Robert Monroe’s stuff, which I haven’t touched seen I was a teen… I think I’ll have a new appreciation. I also never read Jordan… the endless sequels kind of scared me off… but my brother has also recommended his stuff too for all the dream plot devices. to be able to review it on my website. excellent. Moss’s Active dreaming is a potent book. he really distills his process down in that work, and makes it applicable. What about “Dreaming Yourself Awake’ by B.Alan Wallace. Rick – I totally forgot to include Wallace’s book — it’s great. I got it as soon as it came out. 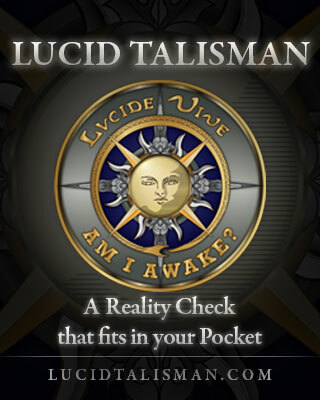 Perfect as an introduction to Tibetan Buddhism for Westerners interested in lucid dreaming. it’s practical. If you want more cultural depth, I’d go with The Tibetan Yogas of Dreams and Sleep. The Self-Aware Universe by Amit Goswami, several of Jane Robert’s Seth books, Carl Jung’s autobiography, and of course Bomb Queen comics. I never know what I’ll be reading from night to night. nice list Morgan! Jung’s Dreams, Memories and reflections is one of my personal favorites. I found your post because, ironically, I’m researching competing titles for a book proposal. Topic: Dreams as self-help. I’m a moderator at the dreams forum at reddit.com/r/dreams, and I noticed how many people wanted to know how to understand their dreams and were frustrated by lack of practical guides. So I wrote “Dreams 1-2-3: Remember, Interpret and Live Your Dreams.” I self-pub’d it through Amazon back in April. I wanted to let you know it’s another 2012 title about dreams that’s worth giving a read! Thanks for putting together this list. 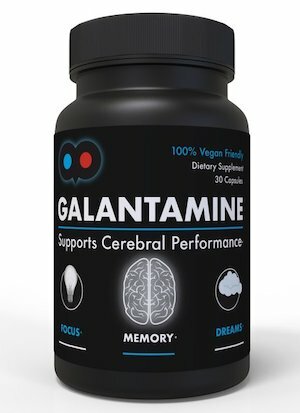 It helped my research.